Welcome to the Master of Science in Patent Law Program at the University of Notre Dame! I’m thrilled to be directing this first-of-its-kind program that teaches scientists and engineers the legal and professional skills necessary to succeed in the patent legal workforce. It really is a privilege to help others get started on a career that I consider one of the most stimulating and rewarding endeavors in science or engineering. I can say from experience that patent agency is a dynamic and lively profession. After earning my Ph.D. in biology, I spent three years working in the intellectual property group of a law firm as a part of their biotechnology patent practice. I worked with all manner of biotech clients, on products as varied as medical devices and diagnostic tests, agricultural products, pharmaceuticals, and industrial products. Not only did I get to work with inventors and scientists who are at the forefront of their fields, but I also gained an insider’s perspective on cutting-edge technologies by drafting and prosecuting U.S. and international patent applications. As a student of the Master of Science in Patent Law, you’ll have the opportunity to do just the same. 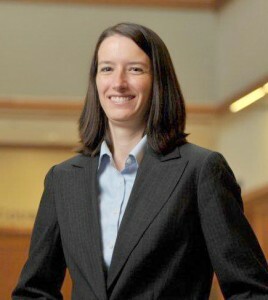 In addition to teaching the skills necessary to pass the bar and continue to successful patent legal practice, our unique one-year program provides hands-on, practical experience in researching and drafting an actual patent application for one of the many technological innovations born here at the University of Notre Dame. Also be sure to keep up with this blog via RSS for more news on patent agency and our groundbreaking program. Connect with us on Facebook by liking the Master of Science in Patent Law page, and if you have any questions or want more information, you can always contact me directly. I look forward to hearing from you, and getting you started on your career in patent law! P.S. If you’re in any of these recruiting locations, I’d love to meet in person!